For fans of the show (and let’s face it – who isn’t?! ), Criminal Minds is back on demand right from the beginning! After being shown on Amazon Instant Video last year for a few months it’s now made a return to Sky’s On Demand service – if you’re subscription includes Sky Boxsets you can now find it under the new boxsets category on what should be now you’re nicely updated Sky Box after the recent software upgrade that was pushed out to customers. After last years appearance, it doesn’t look like it’s going to make a free return to Amazon Instant Video – although the seasons are still available as pay-per-view for around £24 per season or £3-£4 per episode. Thankfully however, Sky have successfully negotiated the on demand rights to the Criminal Minds back catalogue which currently includes seasons 1 right through to 11. This should give a chance for fans to catch up on episodes or seasons that they missed the first time round and also give new potential fans the chance to watch it from the beginning. I’d start watching now though, as with any hit shows on demand they’ll be time limited. Sky haven’t mentioned an end date yet but it’s likely they’ll only be available for a few months judging by previous history. I’m not sure whether this is strictly an offer but it’s definitely not something you want to miss out on! Smart Meters – What a Pile of Crap! AVOID!! Before you ask, no I don’t have one. And since you ask, don’t get one either! I’m a geek and I love technology but Smart Meters are actually, pretty dumb. They shouldn’t be and had this whole thing actually been planned out properly, they wouldn’t have been but alas, we are where we are and there are many reasons why you should put off having a Smart Meter until they force one on you. Yes. I’m afraid so. In the Governments infinite wisdom they’ve decided we’re all having one by 2020. Smart meters are a next generation meter for both gas and electricity. They are a replacement for your existing meters, which still use technology created decades ago. Smart meters use a secure national communication network (called the DCC) to automatically and wirelessly send your actual energy usage to your supplier. This means households will no longer rely on estimated energy bills, have to provide their own regular readings, or have meter readers come into their homes to read the meter. ‘Next Generation’ – sounds positively Star Trek! No more estimated bills, no more reading meters – sounds great, right? 99% of us should be switching our household electricity and/or gas suppliers yearly (or more often). Why? To save money. Loyalty is never rewarded in the energy business. To get the best value for money and the greatest deals, you have to switched at least once a year. I’ve never had the case where an existing supplier could beat an offer from a new supplier. 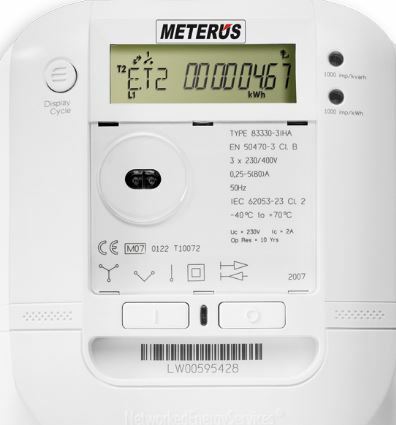 Smart Meters, unfortunately are not standardised yet (there are plans for the Government to legislate the standardisation of such meters by 2020, but nothing’s concrete yet). In short, this means that most of the Smart features potentially only work with the provider that fitted the meter as they all have different types of Smart Meter. The up shot? As soon as you switch, you’re Smart Meter is going to be dumb very quickly – back to providing energy readings again (grrr). Having a Smart Meter will make you less likely to switch – you’ve got used to not providing your readings and getting accurate bills every month, no one can blame you. New customers are unlikely to be high up the Smart Meter installation list and even once selected into this hallowed group, you could be waiting a month or two until they actually come to install it. This means you’re likely to be switching provider not long after having your Smart Meter. Anything that discourages switching is very bad – and most of us don’t do it when we should at the best of times! Smart Meters sound great – until they break. And they’ve been breaking quite a lot during this teething phase. More worryingly, some people are reporting health complaints relating to their Smart Meters (Death Meters anybody?!). On top of that, they’ve been getting your bills wrong, making energy companies mislead their customers, making fancy pants ‘Energy Monitors’ useless paperweights and being totally hackable (you knew you were paying for next door, right?!). You may well have a meter with ‘decades old’ technology in, but at least most of the time it’s broadly reliable. But I Won’t Know How Much Energy I’m Using Without One!! Login to your online billing area of your utility provider. Or look at any paper bills you may receive. Your energy usage should be displayed there over the bill period and other periods such as monthly and yearly averages. If you’re lucky to be with a great provider – as an added bonus – they may well place some fancy drawings on your bill and say how many times the energy you’ve used could boil and kettle or fill a bath! Come on! Don’t be lazy, snap out of it! On the list of usual household chores – do the washing, clean the dishes, cook tea, go shopping – spending 60 seconds once a month (or once a quarter) looking at a couple of meters and tapping in the displayed numbers into a mobile app is hardly taxing. They’ll be good one day (probably). Until then, steer clear. Keep switching and you’ll likely not be offered one for a while. Hopefully if the Government gets its behind in to gear and legislates to standardise them all then it may be worth it (or no worse) than having your old trusty meter. Until then, avoid like the plague where possible. Get Your iPlayer TV License Immidiately or Face £1000 Fine & Prison!! Thursday 1st September is not just any other day. And with all the other world news that goes on these days, you’d be forgiven (by us anyway! The authorities might not be quite as understanding!) for forgetting that big changes to the way TV Licensing works come in today. Previously, unless you watched ‘live’ TV (i.e. as it was being broadcast) you could ‘get away’ with not having a TV License. In the day and age of rapidly advancing technology, the law rarely keeps up – and it’s no exception in this case. Back when TV Licensing laws were crafted, there was no way to get around the fact that if you watched TV it was deemed ‘live’. Even if you record TV (in the good old days of VHS) you still needed a TV License as although you were not necessarily watching the programme whilst it was being broadcast, you were actually recording it as it was broadcast – which meant you needed a TV License. In the days of austerity, and dwindling Government support, the BBC is having to make a series of tough decisions – making efficiency savings and working out how much they need to increase revenue. So, the solution (or part of the solution) has been to close the TV License loopholes – which license payers often perceived to be unfair. After all, the license fee pays for the BBC’s content – it costs the same to make whether you watch it live or otherwise. From today onwards, if you watch any ‘live’ TV or you watch iPlayer you need to get a TV License. Wait!!! This is not before. Run the risk at your peril – if caught without a TV License when you should have one you can face a £1000 penalty and a potential jail sentence. Plus, it’s not morally right either :-P.
And if you think you can still sneakily watch iPlayer and be safe, please be aware it is much easier to catch you now than it was in days gone by. No need for detector vans anymore! If you’re accessing iPlayer, you’re doing so over an Internet connection. Each Internet connection is assigned a unique IP (Internet Protocol) address – this is as good as a home address in the real world. This IP address can be uniquely linked to your account (either fixed at home or mobile e.g. 3G, 4G). In turn, this can be uniquely linked to you. And if you’ve accessed iPlayer, the BBC will be able to see IP addresses that have accessed their service in their server logs and you’ll be banged to rights. In short, it was never really a clever thing to evade the TV License. Now it’s near on reckless. Buy your TV License now! On the plus side, more license fee payers should mean that we still get the great content we love from the BBC (who else can’t wait till Question Time is back on next week!?) and hopefully there won’t be any steep rises in fees (fingers crossed! ).